To start off, anyone who wishes to use this memory tweak will need to first have a system with stable memory, so please make sure that your chosen memory already runs at its native speeds and is 100% stable before starting. Secondly, it must be remembered that this can be classified as memory overclocking and as such should be done carefully and in the knowledge that overclocking using the wrong methods can result in an unstable or at worst a damaged system. These settings vary from AMD's stock values and as such are not guaranteed to work, so we recommend that those who wish to tweak their memory know how to clear the CMOS of their motherboard and has several memory heavy programs and benchmarking utilities to test stability. 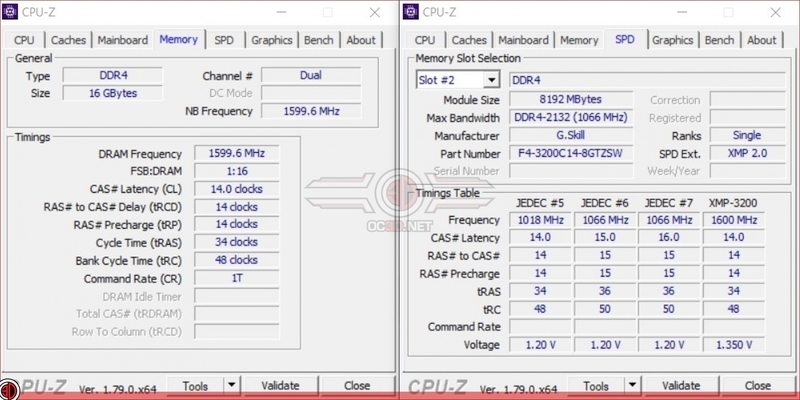 First users should find out what their memory tRC timings should be, which can be commonly found using CPU-Z. tRC is typically the values of tRP (RAS# Precharge) and tRAS added together, which is this case is 48 (14+34). This is found for this memory on the XMP-3200 section of the memory's timings table. Your tRC value should not go lower that tRP+tRAS, as this will cause system instability. tRC can be higher than this value, but going lower will cause unnecessary problems. It is important to note that tRC should not be lower than tRP + tRAS for stability reasons, though you can use speeds that are higher than this if required. Setting your tRC timings to low can prevent your system to fail to boot, requiring a CMOS reset. 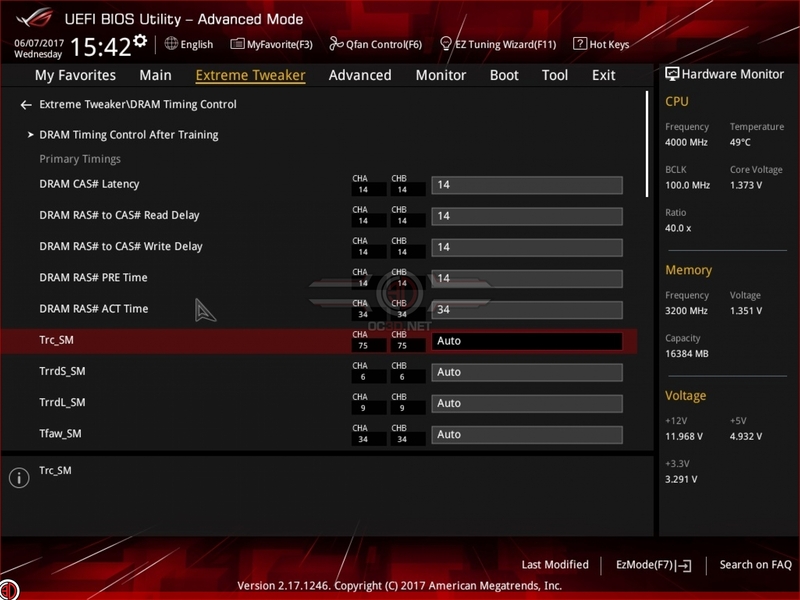 To change your tRC timings you will need a motherboard that uses AMD's latest AGESA 1.0.0.6 update, which for the purposes of this guide will be ASUS' Crosshair VI Hero. This setting will be found in DRAM Timing Controls and is commonly directly under your tRAS timing. Before you change this setting make sure your memory is already running at its correct timings and voltages, which should set up correctly if you are using your motherboard's DCOP or A-XMP memory profiles. From here users will be able to input their own tRC value, which you have already recorded from your stock memory profiles. From here save your BIOS setting changes and reboot your system. To confirm stability we advise users to first re-enter the BIOS to confirm that their settings have saved correctly and then enter Windows. If Windows does not boot correctly users should attempt to re-enter the BIOS and then change their tRC setting to a higher value. 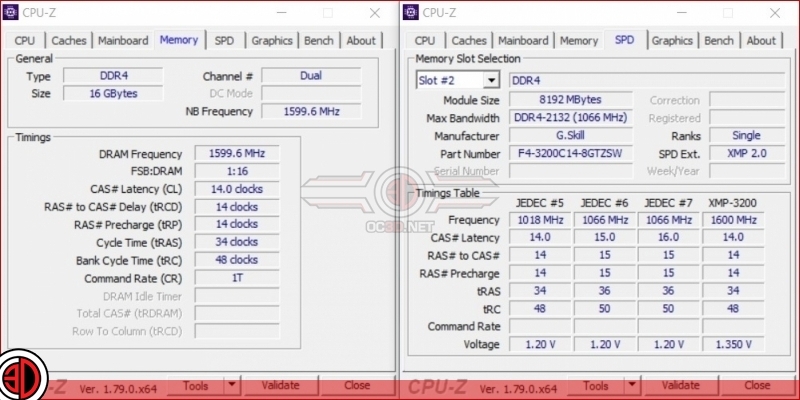 We have tested multiple memory kits with this method and the previously stable memory that we have tested has worked with modified/optimised tRC values. When booted into Windows users should check that their memory is running at their selected memory timings using CPU-Z. For stability testing, we recommend that a variety of benchmarks are used, as no single tool is a surefire way to check for memory instability. OCCT with heavy workloads setting is a good start alongside AIDA 64's memory test suite, though we would recommend adding other tools like Geekbench into the mix for good measure. 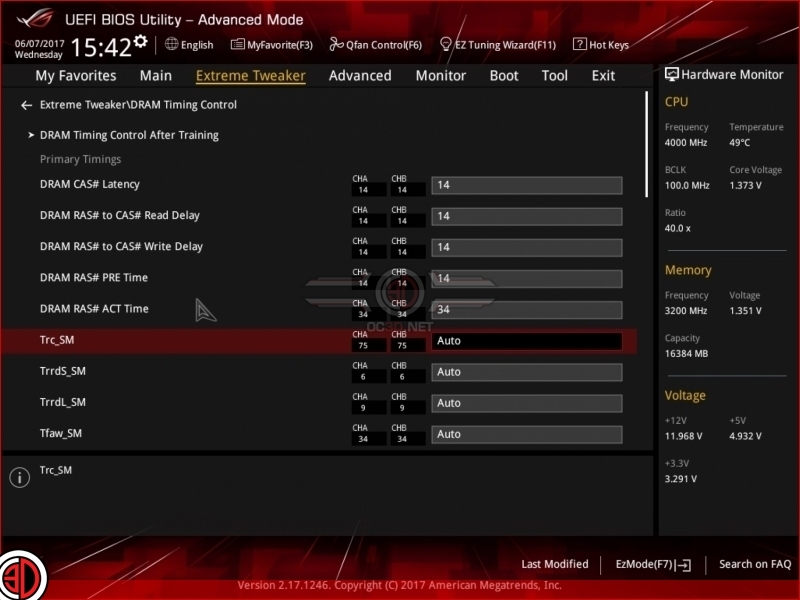 Treat this like any other form of overclocking, be careful with any BIOS changes and make sure you conduct sufficient stress testing before putting you your system back to work.